Over 20 years of industry experience backs our unique training programs. We provide both individual and group trainings to help you master and customize Dragon. We incorporate VoiceComputer’s help and training for Dragon into our personalized trainings. And, since VoiceComputer’s interactive training is available to our clients even when we are not, you will continue learning as you work. We can help you refine a more productive workflow, making you a happier Dragon user. With our onsite and remote offerings, we can even help you save on overall training costs. A key to successful training is post-training follow-up. You could spend thousands on Dragon training with other training companies, but other companies cannot guarantee that their Dragon users will remember half of what they were taught. And, where will their trainers be when they are really needed? With VoiceComputer, the training is built-in and always accessible by voice. No other training company provides such a versatile, ongoing and interactive learning environment. What does VoiceTeach, LLC do? We can even develop and install custom software to integrate standard voice package databases and processing applications. We are authorized dealers of Dragon NaturallySpeaking software. VoiceTeach, LLC has the best value and voice technology today: comprehensive, flexible solutions at highly competitive prices. 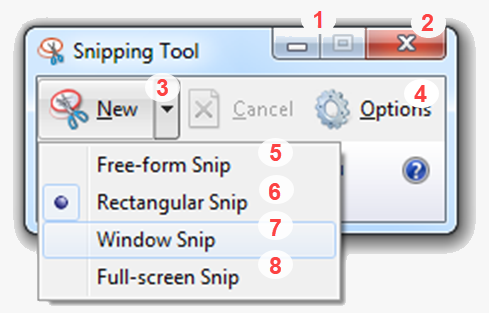 Example: Our users are up and running with Outlook within 30 minutes. Our users are more productive than users who receive 6-12 hours of Outlook training from our competitors. Our goal is for our users to spend less time training and more time being productive. VoiceComputer also makes Dragon more powerful and accessible than ever before. Why do you need VoiceTeach LLC? VoiceTeach's training is designed and personalized to cultivate success. Our mission and passion is to make hands-free computing a reality and we will commit to each client fully to ensure our mission is accomplished. Since its introduction to the market roughly 20 years ago, speech technology accuracy and ease of dictation has greatly improved. But even now, it is still a tool that requires, at a minimum, basic training and support crafted specifically to the needs of the individual user. While it is the case that some people succeed on their own, they are often the exceptions. Millions of speech software packages have been sold, but how many users give up within weeks of installation. This is largely due to the reality that the applications most workers use today are not fully accessible with speech recognition or require too many complicated commands to be genuinely useful. VoiceTeach’s training and support services make the difference that enables you to succeed. The support starts with careful evaluation and user support. We then determine what hardware is needed and proceed to proper installation and initialization of the speech package. This then concludes with personalized training, thorough documentation, and continued support. What does a typical training look like? In the first hour of training, our trainers provide a full introduction to Intag - the easiest to use and most powerful speech recognition technology. Our trainers also utilize a full suite of hands-free tools included in VoiceComputer. These features include the VoiceComputer Microphone, commands for fast and easy desktop control, voice copying, voice mousing, and thousands of custom productivity commands. Who does VoiceTeach LLC serve? Dragon's core mission is great dictation accuracy. VoiceComputer's core mission is home and workplace accessibility. That is why we deliver a new world of accessibility, productivity, and ease-of-use. With half a dozen U.S. Patents & Pending Patents, VoiceComputer has reinvented speech computing. VoiceComputer enables our users to return-to-work and school despite physical challenges that range in severity from RSI and carpal tunnel to quadriplegia and other severe physical challenges. VoiceComputer's unprecedented voice access and control of your computer and applications will completely change what you can do with Dragon. VoiceComputer delivers a whole new world of accessibility. Accessibility that delivers the highest possible productivity and ease-of-use so that for the first time ever, your company’s or agency’s Intranet sites, Citrix, and legacy applications are accessible to your employees without expensive and time-consuming customization. 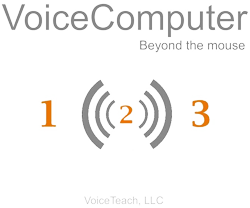 Many VoiceTeach, LLC training clients achieve complete hands-free operation of their computers. Others strike a balance between speech and manual input for their own optimum control, productivity, and efficiency. Whether that balance is at 50%, 70%, or 100% voice input. VoiceTeach, LLC enables high productivity, reliable operation, and complete satisfaction with the training services that we provide.